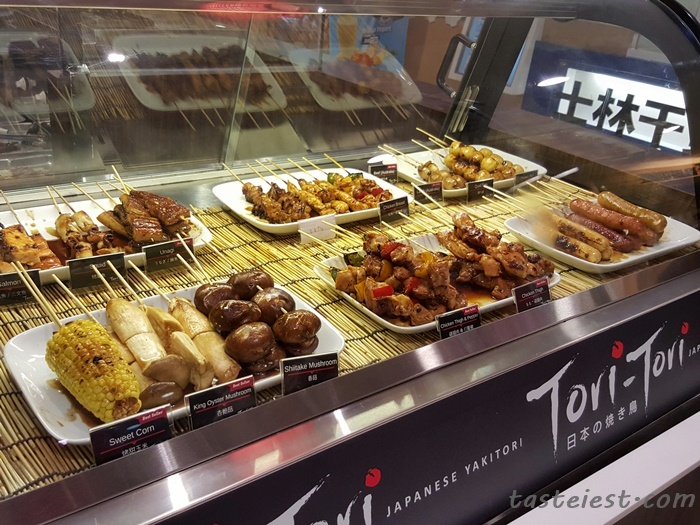 We all love Yakitori but why? 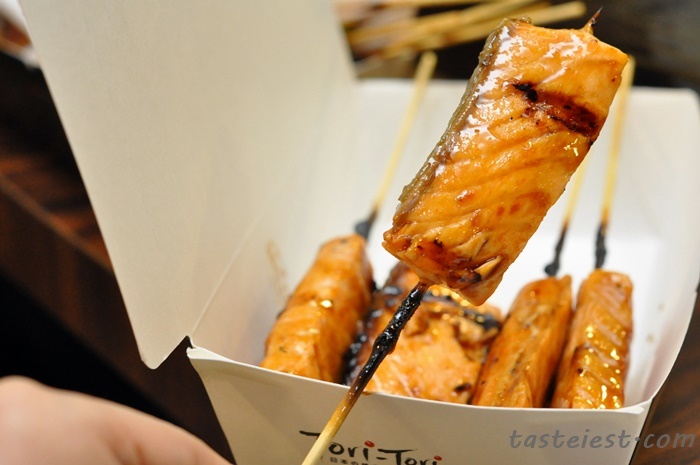 Well, Yakitori is a simple yet delicious dish especially the sweet sauce that make the ingredients taste sweet and flavorful. It is also very convenient where you can eat almost anywhere, anytime. 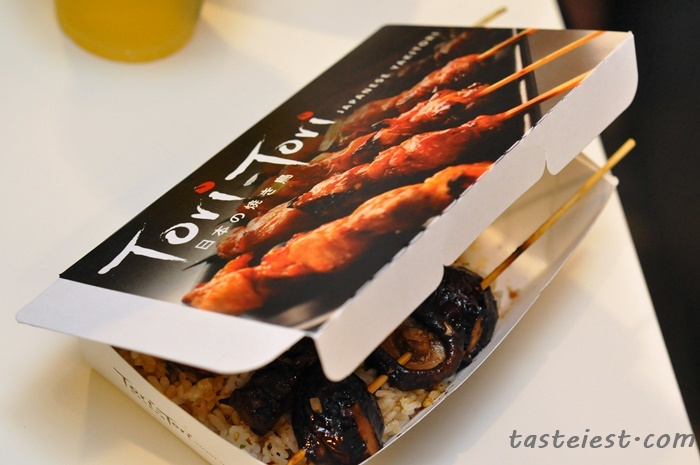 Tori Tori located at basement of Gurney Plaza, offering wide range of Yakitori ranging from Chicken, Beef, Lamb, Vegetable, Mushroom, Salmon…etc. 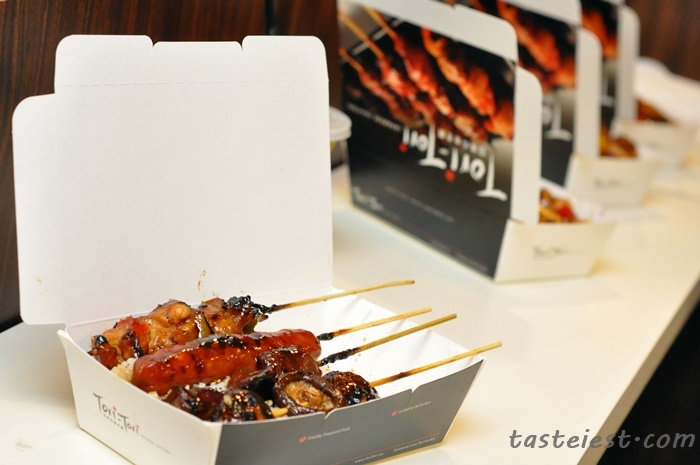 A stick of Yakitori starting from RM2.50 to RM7 only or set meal starting from just RM11.90. Good News! On 26th December 2015 Saturday 1PM onward you can get a complete meal for just RM1. Yes RM1 ONLY! 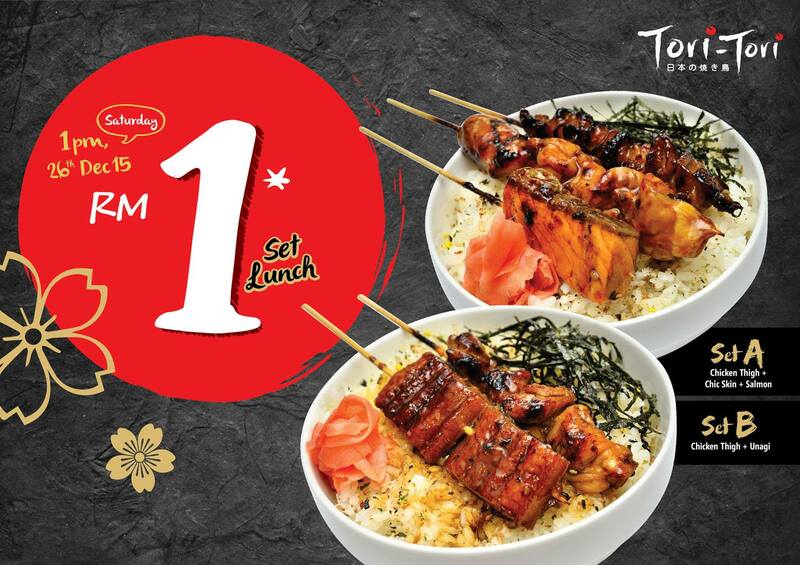 This is really awesome, for just RM1 you get either Set A – Chicken Thigh + Chicken Skin + Salmon or Set B – Chicken Thigh + Unagi. Again, just RM1 each. *Limited to 100 sets only, 1 Set per person per order. 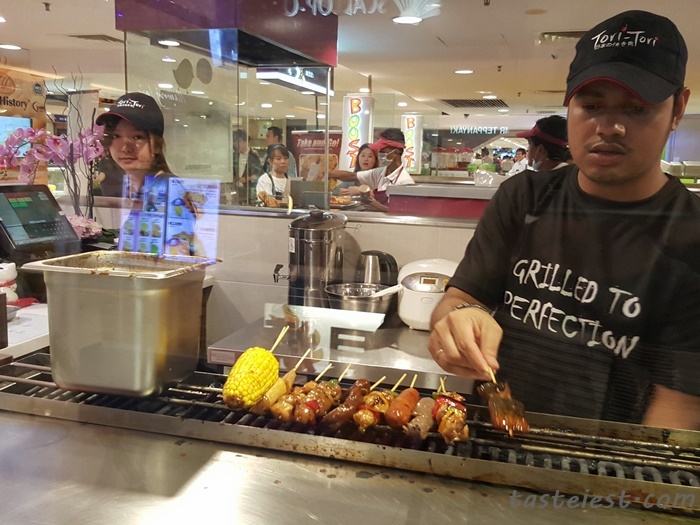 Yakitori are grilled on the spot to ensure freshness, they will grilled again once order taken to ensure food served hot. The kitchen is clean and transparent where you can see them prepare your delicious food. 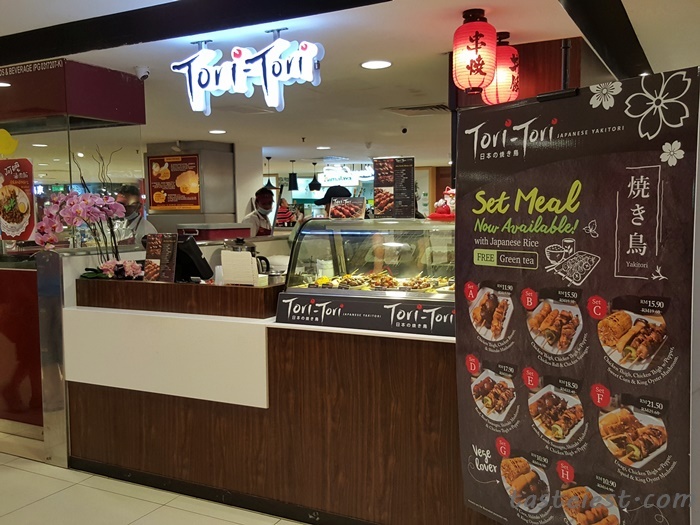 If the set meal doesn’t have the combination you want then you may choose to have any 4 sticks with add on RM1.99 for Japanese Rice and free green tea. 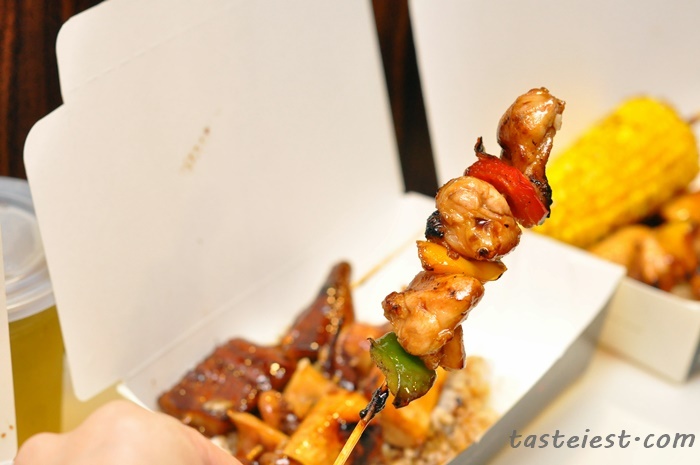 We have tested so many different ingredients of Yakitori and overall satisfied with the freshness and flavor. We love the sweet sauce that was dip multiple time during barbeque, it make the ingredient to fully absorb the sauce flavor. Chicken Thigh are nicely cook to flavor and maintain the soft and smooth texture, it is extremely flavorful especially with the add on of pepper that add on crunchy texture to it. Japanese rice portion are pretty big as well, one complete bento is good enough to fill a big eater like myself. 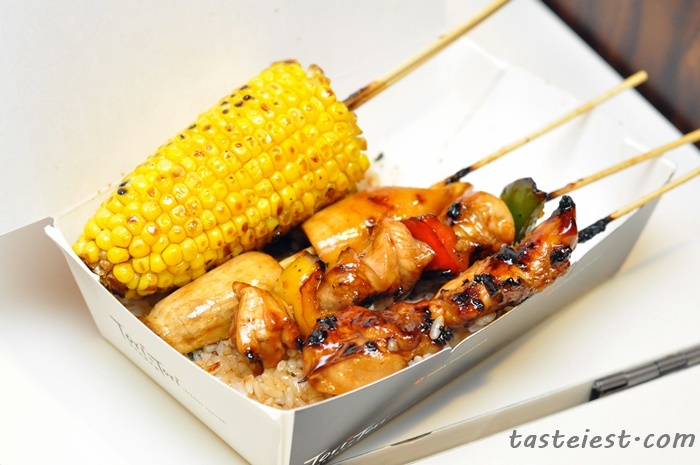 Set C – Chicken Thigh + Chicken Thigh with Pepper + Sweet Corn + King Oyster Mushroom served with Japanese Rice and Green Tea. 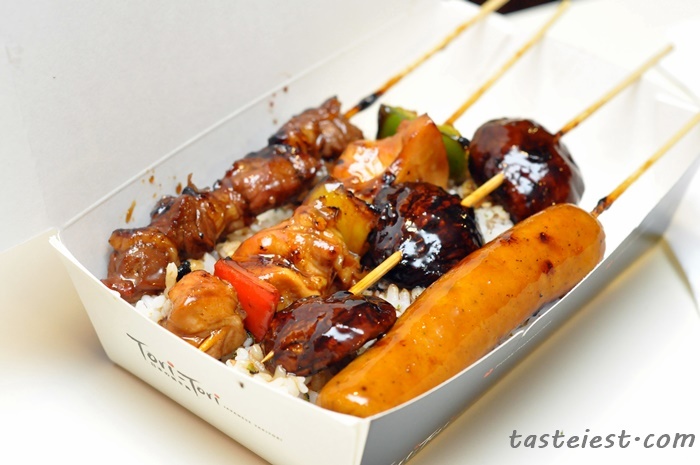 Set D – Beef + Beef Sausage + Shitake Mushroom + Chicken Thigh with Pepper served with Japanese Rice and Green Tea. 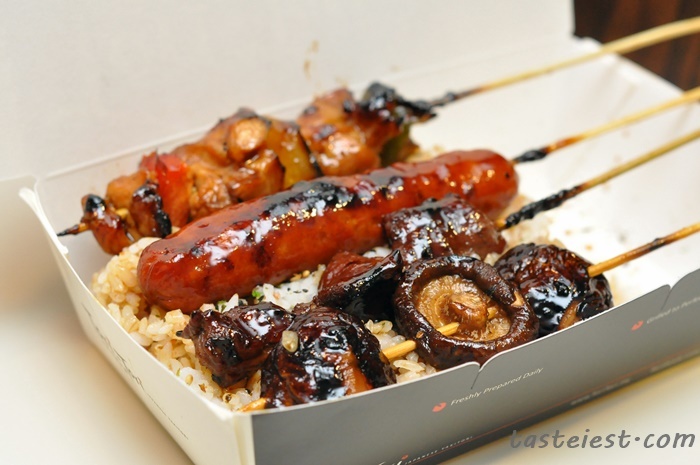 Set E – Lamb + Lamb Sausage + Shitake Mushroom + Chicken Thigh with Pepper served with Japanese Rice and Green Tea. 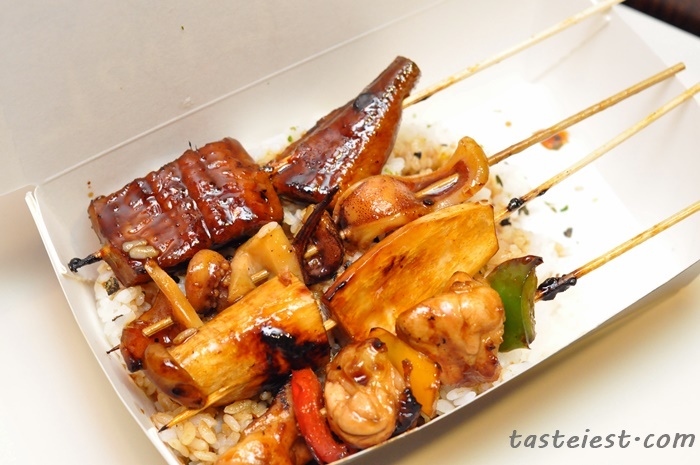 Set F – Unagi + Chicken Thigh with Pepper + Squid + King Oyster Mushroom served with Japanese Rice and Green Tea. 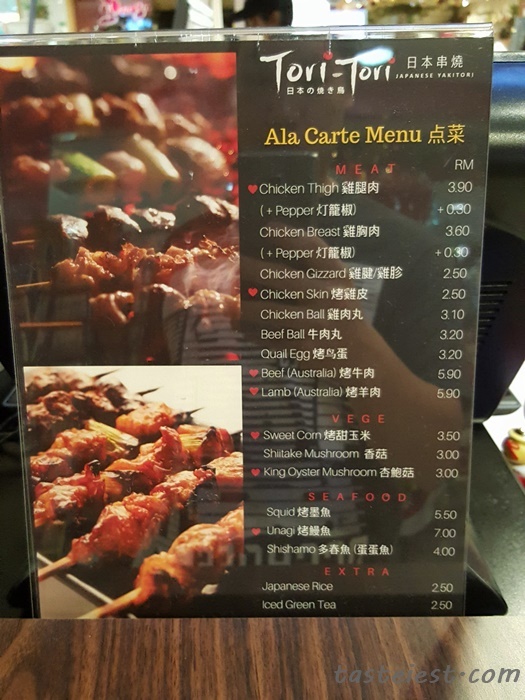 Shitake Mushroom RM3, Chicken Thigh RM3.90, Salmon RM4.90, King Oyster Mushroom RM3. 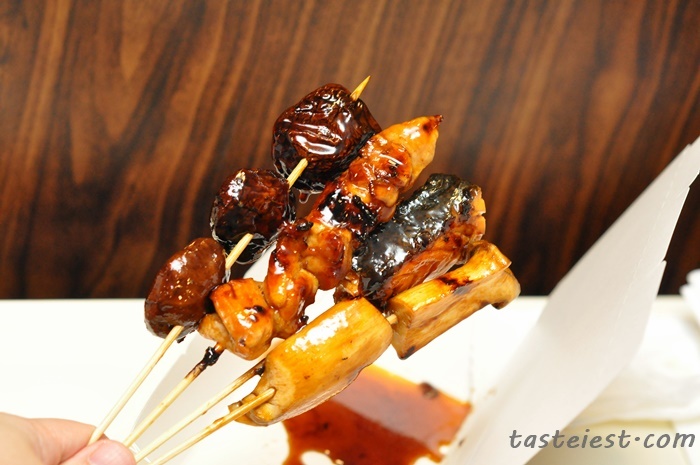 Mushroom are surprisingly good, initially we though that mushroom might not be good at absorbing the sweet sauce but we are wrong, they are nicely cook to flavor and it is very juicy as well. 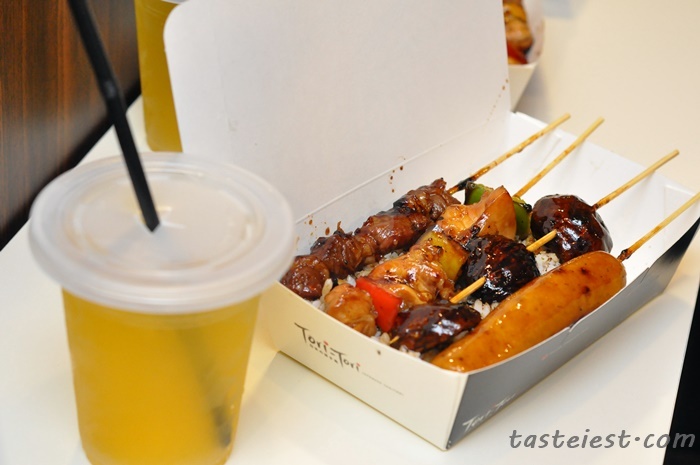 Since there is not much seating area hence take away is the best alternative but don’t worry as they have a proper box with utensil for you to take away. It is so convenient. Lot 170-B1-K3, Gurney Plaza, Persiaran Gurney 10250 Penang.